WinX DVD Ripper Platinum is one of the newest software options available from Digiarty. 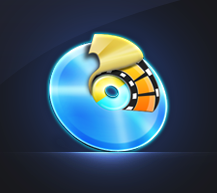 WinXDVD Ripper Platinum is a Windows-based, user-friendly software capable of converting any DVD, as it is designed to allow access to all DVD encryption types for various regions. This ensures that you can make back-up copies of your important DVDs. Updates are being continuously added to ensure that new technology advances in copyright encryption don’t keep you from creating the backups that you need. The formats supported by WinX DVD Ripper Platinum ensure that you can rip a DVD into a format that can be viewed on virtually all smartphones and tablets as well as some gaming systems. Unlike other DVD ripping programs, WinX DVD Ripper Platinum allows you to edit your DVD as well. You can remove specific content and to rip only specific segments of your DVD. The in-program movie previewer also allows to you to take photo stills of the movie, and then save them in JPEG or BMP format. You can also rip just the audio portion of the DVD, allowing you to create sound-bytes or your own soundtrack. As if the versatility of WinX DVD Ripper Platinum wasn’t enough, it is remarkably easy to use. The WinX DVD Ripper Platinum is a simple four step process to ‘rip’ your DVDs. Choose the output type you want. After that, you simply need to follow the directions of how to install the file into the device you want to use it in. And that’s it. Your DVDs are now backed up and available for use on other devices. For those not running on a Windows machine, there is also MacX DVD Ripper Pro.